This is a walk-on game - ticket pre-order is not needed! Just show up to play. 1 group of beginner players will play all day, join in whenever you're ready. 1 group of advanced players will play all day, join in whenever you're ready. So, you want to come play paintball, now what? Check out our preparedness section to see what else you need to do before the event, complete your waiver online, or read more about our events. 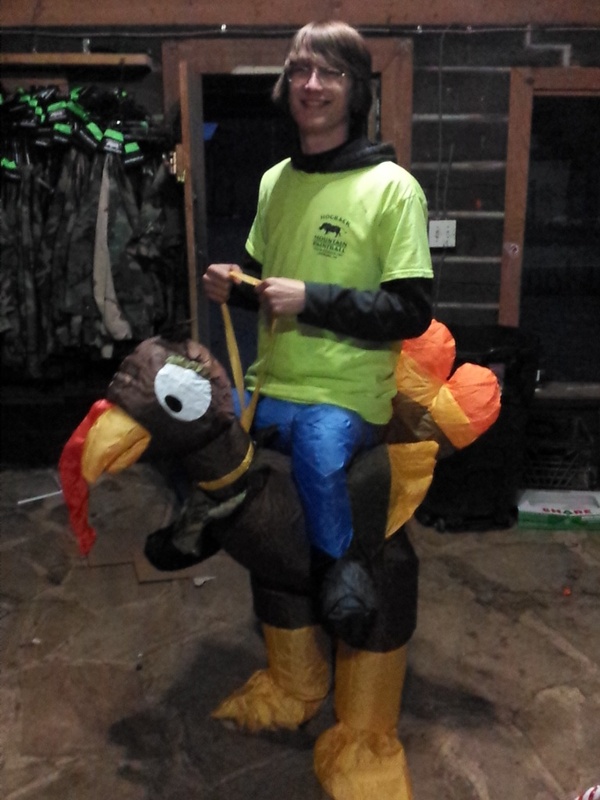 Join us on the weekend following Thanksgiving for a fun day of turkey hunting and prizes! During walk-ons, watch for large feathers hidden around the fields. Collect the feathers during regular gameplay and bring them back to the Dead Zone and earn prizes. Turkey Feathers are approximately a foot long, in several bright colors. You will know them when you see them! Gather any you find and bring them back to your Dead Zone Ref so they can be tallied! The player with the most feathers will receive a trophy. Keep an eye out for turkeys running around the fields during games, but be careful - they shoot back! This game will be played with a beginners group and an advanced players group. Simply show up and join a group whenever you are ready! If you would like to rent equipment during this game, please call ahead to reserve your equipment.